I've added a couple more designs to my CreateToday portfolio. I've based these on another popular Christmas image the Christmas bauble. The first is a complete card. 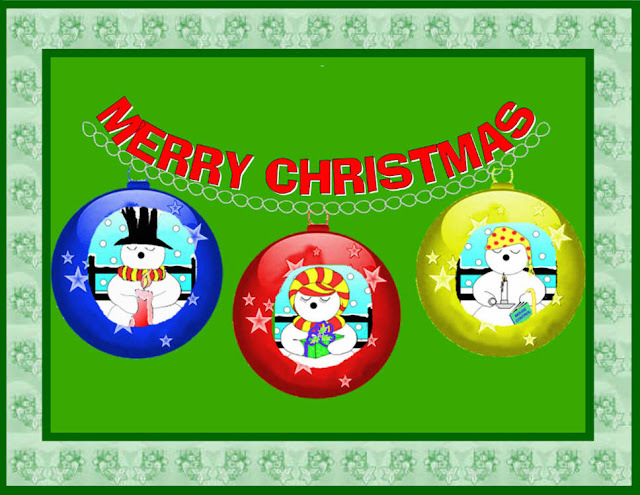 Click here to use and add greetings to this card. 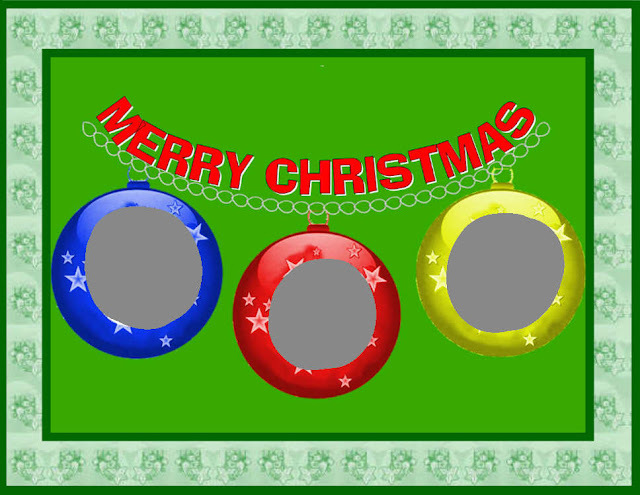 You could add your own Christmas motifs or even add faces of yourself, your friends or your children. Children would loved to see themselves featured on a card wouldn't they?